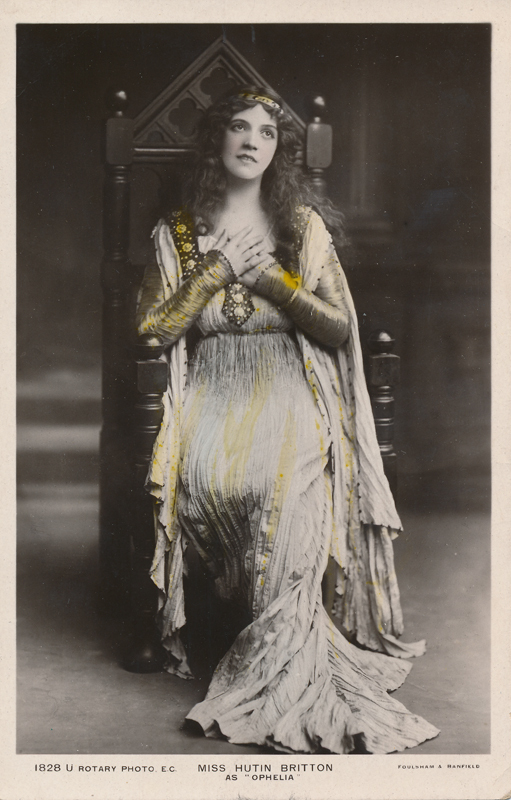 Hutin “Nellie” Britton’s first appearance on stage was with Frank Benson‘s B Company at Brighton in 1901 in Henry V. She had a long, successful career stretching over four decades. She played the parts of Hero in Much Ado About Nothing (1903), Ophelia (1909), Lady Elizabeth in Richard III (1909), and Lady Macbeth at Stratford (1911). 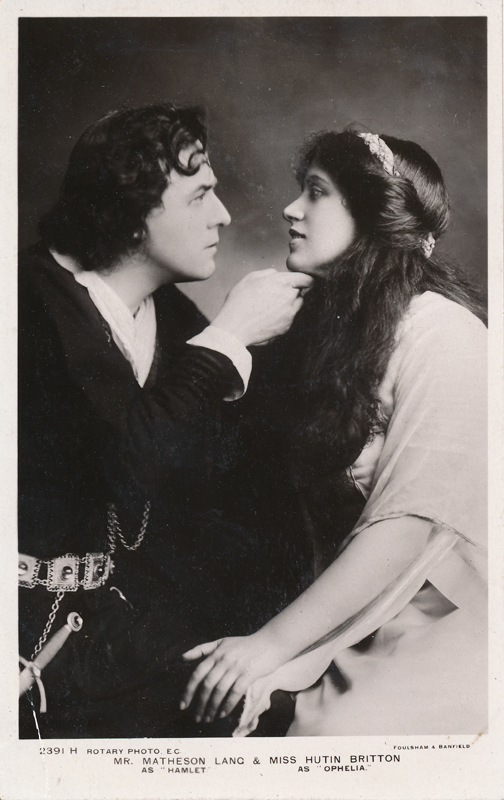 With her husband Matheson Lang, she toured South Africa in 1911 where she played Katherine in The Taming of the Shrew, Ophelia, Lady Macbeth, Juliet, and Portia in The Merchant of Venice. 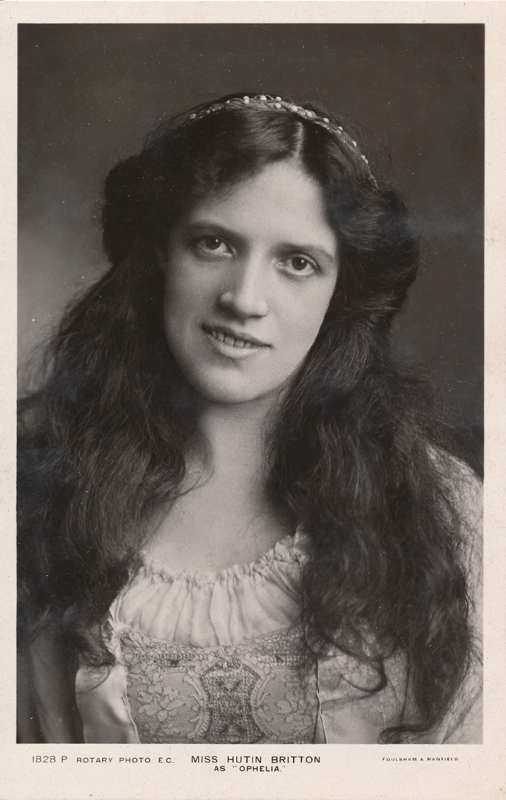 She and Lang produced the first Shakespeare season at the Old Vic in 1914; she reprised her role as Portia. She and Lang reprised their roles once again in one of the first films of the silent era, The Merchant of Venice (1916). After a four-year illness and temporary retirement, she returned to the the stage to play Volumnia in Coriolanus in 1924. Her last important performances were in 1936. In her later life she was on the governing board of the Old Vic.